Crude palm kernel oil is extracted by palm kernel oil press machine or solvent extraction plant, then sent to palm kernel oil refinery plant to remove impurities step by step. 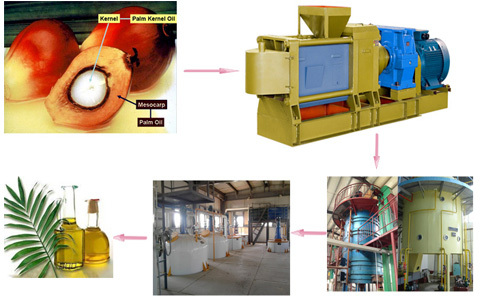 Palm kernel oil refinery plant has four main steps: degumming, deacidification, decolorization and deodorization. Next, I will introduce them one by one. To remove solubility impurity in the crude palm kernel oil is degumming process. Because phospholipid in a great part of solubility impurity in the crude palm kernel oil. 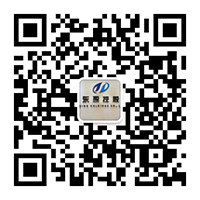 In cooking oil refining industry, degumming is also called to get rid of phospholipid. 1. Heating. Crude palm kernel oil is pumped out from the Buffer Tank. Passing through dosing system, the oil enters into the Heat Exchanger to recover part of heat. Heat the oil to design temperature(70°C)by Heater. 2. Add phosphoric/citric acid. The oil is mixed with dosed phosphoric/citric acid in Mixer. Mixture of oil and acid enters into the Mixer to change the un-hydrated phospholipids in oil into hydrated phospholipids. 3. Add alkali. Alkali is used to neutralize the crude palm kernel oil. Quantity of alkali added is determined by the quality of crude oil. The neutralized oil is heated to separation temperature(90°C)and then enters into the Centrifuge to remove the phospholipids, FFA and other impurities etc. 4. Washing. Roughly 5-10% hot water is added into the oil to remove the residual soap in oil coming from Centrifuge. Generally temperature of hot water is 3-5 °C higher thanthat of oil. In order to get a more consistent washing effect, phosphoric/citric acid is added in. Mix oil and water in Mixer and heat it to 90-95 °C, then the mixture enters into the Centrifuge to separate the residual soap and most of the water. Water enters into the Separator to separate oil in water and separate the oil further by outside pool. The aim of decolorization is to improve the color of palm kernel oil, and supply the eligible oil to deodorization process. So through decolorization process, we should get the most change in the color, at the same time, keeping the lowest loss. 1. Heating. The deacidified oil firstly enters into Heat Exchanger to make heat exchange. 2. Add white clay. 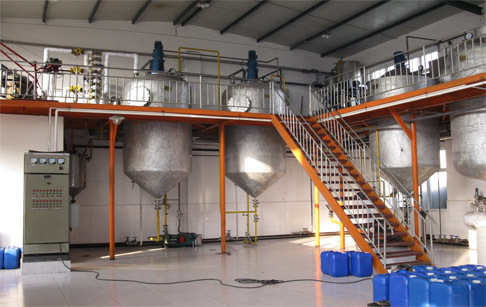 When the deacidified oil has been heated to design temperature (110°C), the oil is continuously mixed with clay proportioned by an automatic feeding system before entering Vacuum Bleacher. 3. Steaming. Then in time, during continuous agitation (by steam), the main part of color bodies as well as oxidizing materials in the oil are absorbed by the clay. After the bleacher, the oil/clay mixture is pumped to alternatively working filters and safety filter to remove clay in oil. The bleached oil tank is under vacuum to avoid contacting with air and thus cause color return and affect peroxide value of oil. Deodorizer not only remove the fetid impurity, increase palm kernel oil smoke point, make better taste, but also improve oil stability, quanlity and chroma. At the same time, we can get rid of free fatty acid, peroxide, heat-sensitive coloring matter, protein in the mucid oil cake, polycyclic aromatic hydrocarbon, and residual pesticide residue. The standard bleached oil enters into Heater, Heat Exchanger, and Heater, and the oil is heated to process temperature (240-260°C). Subsequently pump the oil to Deodorizer. 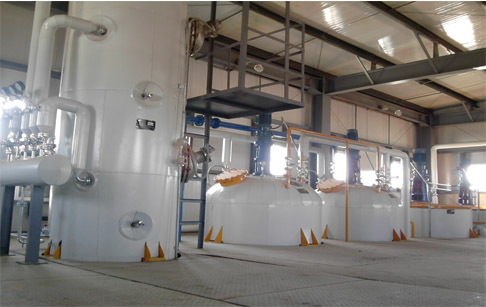 The deodorization tower is combined type: the upper is packed type to remove odor producing components such as free fatty acid; the bottom is plate type to get hot bleaching effect. Oil from the Deodorizer enters into the condenser to recover most of the heat and makes further heat exchange. Finally the oil is cooled to 80-85 °C by Cooler. Volatile from the deodorizing system is separated by FFA Scrubber. The separated liquid is FFA at 40-50 °C. If you wanna to get more details about Crude palm kernel oil refinery plant you can send E-mail to market@doinggroup.com. You can consult our professional engineer and specialized sales team with leave a message in below form.We will contact with you ASAP.You also can visit our factory in Henan,China.Get Detailed address.